courses and seminars around the country. Places on our courses and seminars are limited and prove very popular so early booking is advisable. A unique two day hands-on course suitable for dentists and current and prospective CDTs with 15 hours enhanced cpd. Schottlander are proud to annouce a new intense, two day clinical and laboratory course with a live demonstration on a patient requiring replacement complete dentures made to resemble as closely as possible her original natural dentition. During the course various clinical and laboratory techniques will be demonstrated culminating in tthe fitting and testing of the new denture. In addition, participants will have hands-on exercises in setting teeth and contouring artificial gums. With a limit of 15 delegates on this course and the time available, it will be possible to demonstrate additional clinical and laboratory procedures in line with delegates interests and requirements. A hands-on one day course suitable for technicians with 7 hours enhanced cpd. Presented by Stuart Marlow, the Schottlander Prosthetic Trainer. Changes in dental provision over the last ten years have resulted in a large growth in the private market. This course will look at aspects of the market so laboratories can take advantage of this growth. Topics covered include: Trimming of Primary Models, Construction of Occlusal Rims, Setting up of denture teeth, Natural gum colouring & contouring and Marketing support. 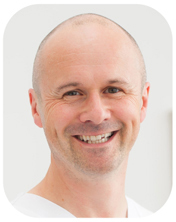 Finlay qualified as a dentist in Sheffield in 1993 and worked in General Dental Practice for 6 years. He has always had a desire to provide the best possible treatment for his patients and has continued to develop professionally through specialist training leading to MSc in fixed and removable prosthodontics, a PhD and two Specialist qualifications (MRD & FDS). He has previously been a Senior Clinical Teaching Fellow and Consultant in Restorative Dentistry at the University Dental Hospital of Manchester & Liverpool University Dental Hospital. 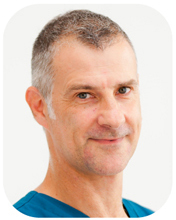 Rowan was previously the Chief Dental Technician in Prosthodontics at the University Dental Hospital of Manchester for ten years, having started working there in 1987. He was involved in the training of dental technicians at the University of Manchester for over 15 years. Rowan and Finlay have worked together since 1999 and have, over the years, satisfied the dental needs of many people throughout the North West of England. In addition, Rowan provided all of the invaluable technical work for Finlay's PhD. Following completion of a five year apprenticeship including the City and Guilds qualification in Dental Technology, Stuart gained over twenty-five years' experience working in a number of laboratories, including three years in a Maxillo facial department. For fifteen years Stuart owned a private, quality, full service laboratory, expanding the laboratory and taking over two other labs in the area. In 1999, Stuart joined Schottlander as the Prosthetic Trainer. He also runs courses, and trains technicians and dentists in the UK and worldwide in advanced denture techniques, using the Award Winning Enigma Cosmetic Teeth and Denture System. In addition, he delivers lectures and presentations on all Schottlander prosthetic products. © 2019 Davis Schottlander & Davis Ltd. All rights reserved.